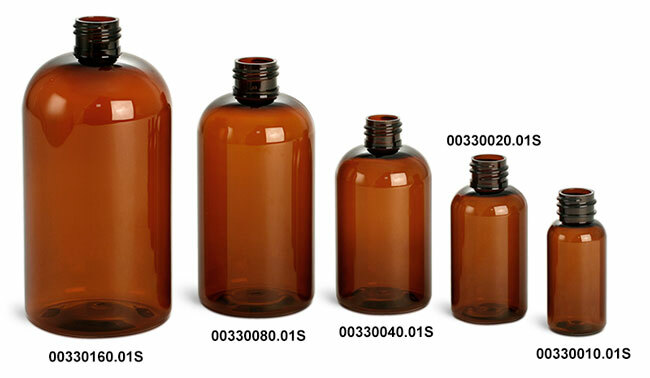 Amber PET boston round bottles ranging in sizes come with black polypropylene ribbed fine mist sprayers. 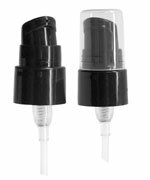 For your convenience, the black fine mist sprayers come topped with a clear styrene protective hood. 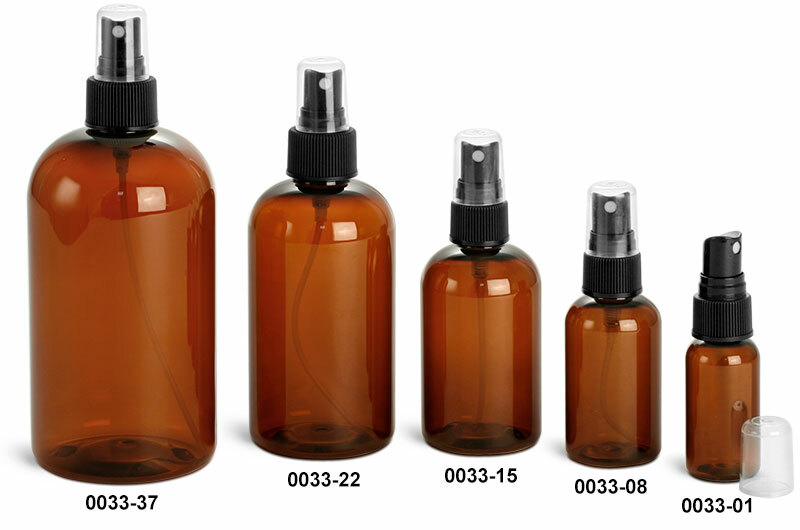 The amber PET plastic bottles with fine mist sprayers could be perfect for containing any product that needs to be applied by misting.